Following the rumours that the Shiite leader, Ibraheem El-Zakzaky might be dead, the man's lawyer has come out to address the speculations. Ibraheem El-Zakzaky, the detained leader of a Nigerian Shiites group, is alive but seriously ill. This was revealed by his lawyer. According to Premium Times, the lawyer, Femi Falana, was responding to rumours of Mr. El-Zakzaky’s death, more than two years after he was detained by the Nigerian government. Rumours of the death of the leader of the Islamic Movement in Nigeria spread on the social media on Friday, hours after the latest rounds of protests by his followers, demanding his release, held in Abuja. Mr. El-Zakzaky and his wife have been detained without trial since December 2015. They sustained gunshot wounds during their arrests, his lawyer said. Mr. Falana said the bullet in Mr. El-Zakzaky’s wife’s body is yet to be removed. “Clinically he (El-Zakzaky) is not dead yet. But he is very very sick,” Mr. Falana said. “He has lost an eye, he is in the process of losing the other one. He has developed stroke in detention. “Bullets in the wife’s body have not been removed since 2015,” he added. He accused the government of violating the fundamental rights of the detainees. “Regulation 12 of the Prisons Act that law has been there since 1917; even convicts can be handed over to their families for treatment when the state can no longer provide such,” he said. A Federal High Court in Abuja in December 2016 ordered the release of Mr. Zakzaky and his wife. The government refused to obey the order. 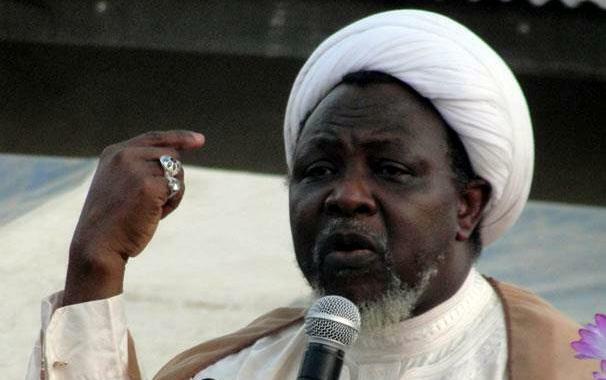 Members of the IMN group have been staging series of processions across the northern states demanding the release of their leader and his wife. Meanwhile, a security source quoted by PRNigeria, a platform that circulates statements from security agencies, claimed on Friday that Mr. El-Zakzaky was “alive and stable”. “As I am speaking to you now Sheikh ElZakzaky and his wife are alive and stable. “They observe their regular prayers and are in stable condition. “The peddlers of rumours claiming he is dead are mischievous, undesirable elements engaging in the antics for ulterior motives. “While it is out of place to say more than this, Sheikh Zakzaky and his wife are accorded respects and some privileges including occasional communication. “Therefore the message being circulated to the effect that there would violence as a result of his death is unfounded and misleading and should be disregarded,” the source said.